I would like to talk about the recent flu epi­dem­ic here in South East Queensland. We’ve seen many patients in our Brisbane acu­punc­ture clin­ic at vari­ous stages of suf­fer­ing with regards to con­trac­tion of the flu vir­us. We have had patients come to our acu­punc­ture clin­ic with just the very ini­tial stages – slightly runny nose, head­aches, sore/scratchy/itchy throat, maybe a little bit hot in the chest and very tired and fatigued. We have also treated people who have been suf­fer­ing bac­teri­al infec­tion as a res­ult of the flu vir­us and have been sick, in some instances, for a couple of months, strug­gling to recov­er from that ini­tial onset of the flu. I’m really happy to say that we have been able to pro­duce some excel­lent res­ults when we are treat­ing patients at vari­ous stages of ill­ness as a res­ult of con­trac­tion of the flu. 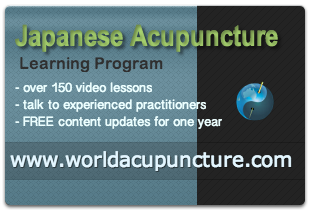 Acupuncture, in my exper­i­ence, is most effect­ive at the very ini­tial stage of the con­trac­tion of the vir­us, i.e. if someone is first com­ing down with a light runny nose and a tickly sore throat, just start­ing to get a little bit tired and headachy. If we can offer them an incred­ibly refined and gentle acu­punc­ture treat­ment, this treat­ment potentises the immune sys­tem. In my exper­i­ence, acu­punc­ture is extremely effect­ive in strength­en­ing the immune sys­tem suf­fi­ciently to pre­vent the vir­us from pen­et­rat­ing right into the very depths of the body and there­fore caus­ing all the rami­fic­a­tions of this inva­sion – the incred­ible leth­argy, being bed-rid­den, the lack of appet­ite, the incred­ible mucous form­a­tion. In my exper­i­ence, this com­plic­a­tion of the flu vir­us is beau­ti­fully con­trolled by the applic­a­tion of par­tic­u­lar acu­punc­ture at the right time. Now, if we miss that little win­dow – where someone is com­ing to the acu­punc­ture clin­ic in the very early stages – they are invari­ably rolling over into the deep­er stages of the vir­us where they are suf­fer­ing the hot and cold chills and fevers, and the deep aching bones and the muscles of the body and the strong and unre­lent­ing head­aches. In this situ­ation of the advanced stages of the flu, I have found the acu­punc­ture extremely bene­fi­cial in ameli­or­at­ing the symp­toms – in oth­er words, help­ing the patient to feel more ener­get­ic and redu­cing the sever­ity of their head­ache. So we still have to go with the flow because the vir­us has pen­et­rated deeply and we can ameli­or­ate the symp­toms and exped­ite a more pos­it­ive res­ult, and in my opin­ion, in a much faster time than when the flu runs its nor­mal course. The effect of the flu on indi­vidu­als will vary much in accord with the state of their immune sys­tem, their age and a whole lot of oth­er factors. But essen­tially, acu­punc­ture is a very excel­lent way of strength­en­ing and build­ing up the immune sys­tem at whatever stage the flu is at. We have been see­ing three to four patients a day suf­fer­ing from the flu — cer­tainly in the last three weeks of August this was def­in­itely the case. The res­ults have been over­whelm­ingly pos­it­ive. The beauty of this out­come which I deeply appre­ci­ate as a tra­di­tion­al acu­punc­ture prac­ti­tion­er of 33 years, is that the tech­niques we use in treat­ing people suf­fer­ing from these acute vir­al con­di­tions are incred­ibly light and del­ic­ate. There is almost no pen­et­ra­tion of the needle and extremely light sen­sa­tion as a res­ult of the acu­punc­ture treat­ment. This is a very big dif­fer­ence between what we call the Traditional Chinese Medicine (TCM) or very strong approach to acu­punc­ture and the more refined Meridian Therapy approach that I prac­tise where we are really aware when we are stim­u­lat­ing the immune sys­tem that the type of stim­u­la­tion required is very light and very gentle. I hope this dis­cus­sion has giv­en you some insight into the power and effect­ive­ness of tra­di­tion­al acu­punc­ture in treat­ing the flu vir­us and the vari­ous prob­lems that can arise with con­trac­tion of the flu. So if you have any symp­toms of the flu vir­us, don’t hes­it­ate to vis­it our Brisbane Acupuncture clin­ic or our clin­ic on the Gold Coast.